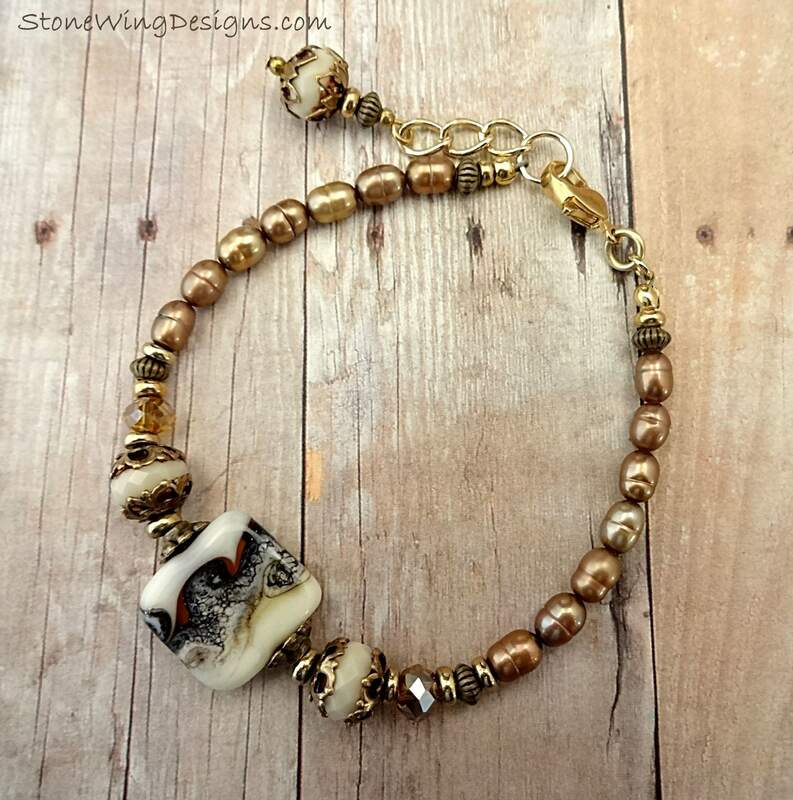 This beautiful bracelet starts with a gorgeous handmade lamp worked glass bead with a beige base and swirls of black, gray and brown. 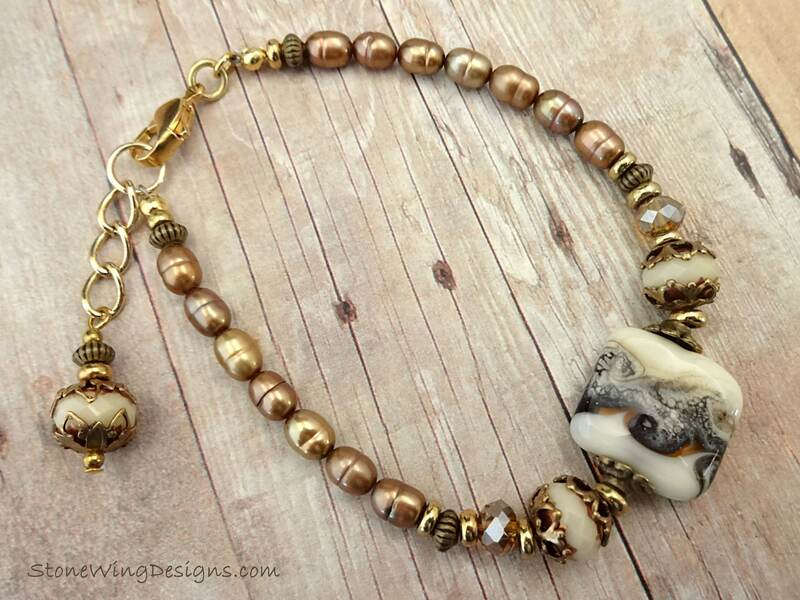 Bracketed by antique gold bead caps and simple brass spacers, the creamy beige in the lamp work bead are repeated in the Czech Firepolish rondelles that are highlighted by scalloped antique gold bead caps. 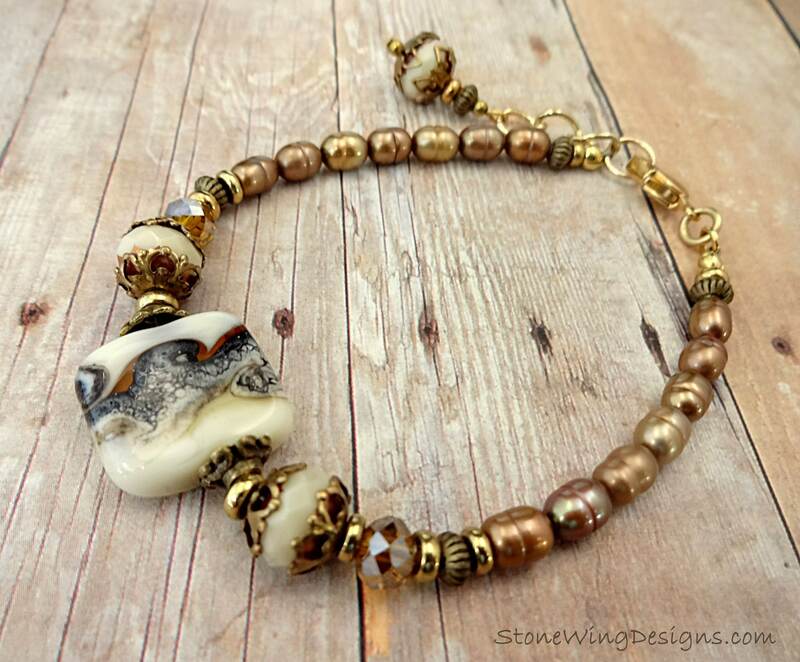 Neutral tan crystal rondelles and antique gold rondelles lead to the golden tan freshwater pearls. At the ends of the bracelet are gold crimp covers, a brass lobster clasp and a short length of gold chain. A single Czech Firepolish rondelle with scalloped bead caps dangles from the end of the chain. 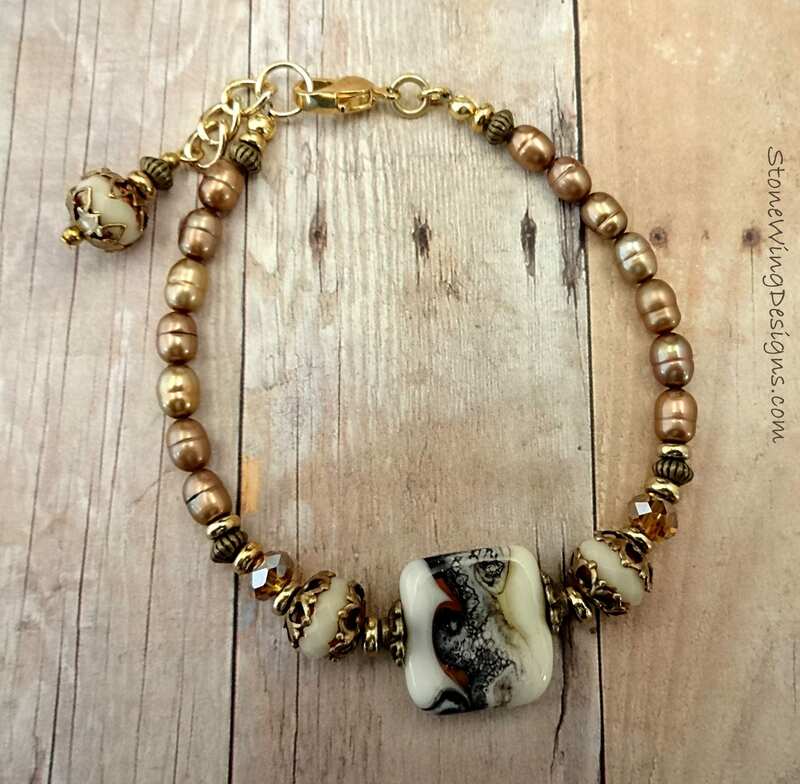 This is a one of a kind bracelet that will go from the office to a dressy night out to a weekend get together with friends.